In this week’s episode of the Jackson Hole Connection, Stephan visits Cara Rank. Cara is a wife, writer, entrepreneur and a foodie. Cara came out to Jackson almost 16 years ago, sight unseen in the middle of winter after taking a reporting job for the Jackson Hole News&Guide. Cara is the owner of Xowyo Paper + Press and a co-founder of Dishing Jackson Hole and Dishing Park City. 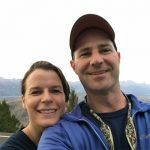 Stephan and Cara talk about the the evolution of the Jackson Hole food scene, business partnerships, starting a publication and new restaurants in Jackson. To contact Cara directly, email cara@dishingjh.com. Do you enjoy The Jackson Hole Connection? Please subscribe, rate and review our podcast wherever you listen. Tune in every Thursday for a new episode of The Jackson Hole Connection. This episode sponsors include The Liquor Store and Jackson Hole Marketplace. Music in this episode is provided by Luke Taylor. The Jackson Hole Connection is edited by Michael Moeri. Website and social media support by Tana Hoffman. Head to our "about the show" page to learn more!